investors and an environmental entity. A complete listing of clients for the last ten years is available upon request. Through the years Nick Kralj and Elliot Kralj have developed many personal relationships with legislators and staff members. Their ability to communicate with members, both during the legislative sessions and during the interim, is a valuable resource. And they have supported the candidacies of many an office holder through direct contributions and hosting of fundraising events. The offices of Kralj Consulting are directly across the street from the State Capitol building providing easy access to the Capitol, particularly important during legislative sessions. The office is fully equipped with computers and televisions useful in monitoring the activities both on the floor of the House and Senate, as well as in committee meetings. It also has a conference room for small groups and access to another conference room for larger meetings. Also, within the same building are the offices of the Texas Trial Lawyers Association. 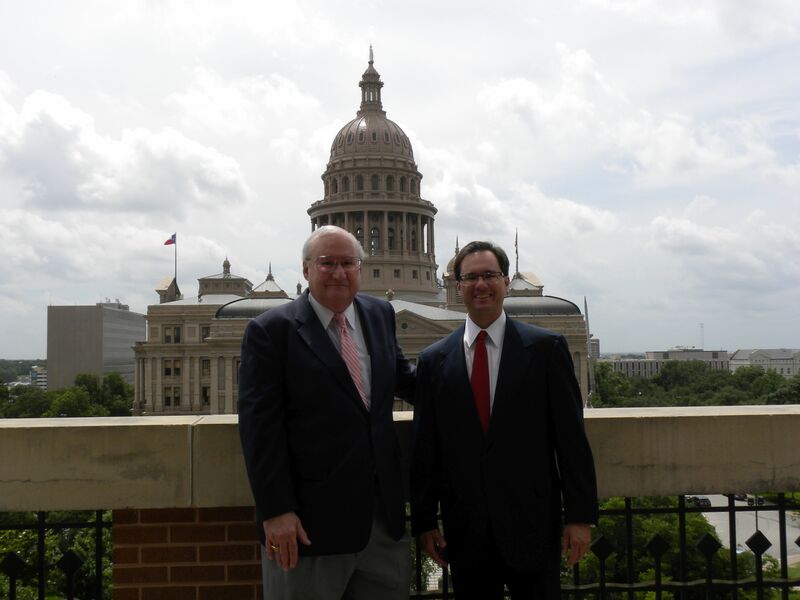 Having worked closely with the Texas Trial Lawyers Association for the last 22 years, Kralj Consulting has immediate access to many of the most prominent attorneys in Texas and Washington. Although not actual personnel of Kralj Consulting, many attorneys and their staffs are available to the firm for advice on legal matters. Please click here for a discription of Kralj Consulting Services. Environmental group sues water pipeline partner for informationArguing that partners in a proposed multibillion-dollar water pipeline proposed for Austin’s eastern flank should divulge more information about the workings of the project, an Austin environmental group has filed an open records lawsuit in state District Court. The Save Our Springs Alliance is suing the nonprofit Central Texas Regional Water Supply Corp. to force it to hand over information about the pipeline route and pump stations, copies of the meeting minutes for the corporation’s board of directors, and correspondence between corporation officials and other partners in the 142-mile pipeline project. The corporation, with the backing of the state attorney general’s office, has said that it doesn’t currently meet the definition of a governmental body. Why is a 99-year-old oil refinery still running?On the morning of March 5, the Houston Ship Channel briefly shut down because of a roaring fire at a Pasadena refinery that injured one worker. The fact that the tangle of refineries along the Texas Gulf Coast belch toxic chemicals, occasionally burst into flames and injure and sometimes kill workers isn't exactly shocking, as we've noted before, but what caught our attention about the latest incident is the sheer age of Pasadena Refining Systems. Pasadena Refining Systems is a 99-year-old refinery with a lot of issues — 11 people were injured there in the past year, the Texas Commission on Environmental Quality has issued more than $1 million in fines since 2011 and the refinery has been operating without a federal permit since 2014, for instance — but the age of the place isn't that unusual or necessarily the cause of its problems. Toxic waste dump could contaminate Galveston Bay 'forever' Galveston, Texas- A toxic dump that two Fortune 500 companies claim safely contains cancer-causing Dioxin has been found to be riddled with holes in its protective cap. "We have a clear and present danger of Dioxin going into the San Jacinto River and Galveston Bay," said Terrence O'Rourke of the Harris County Attorney's Office. " " The rocks are falling off, its just that simple. They are rocks on top of a tarp and the rocks are gone." Arsenic persists in some Texas water supplies Drinking water systems serving 51,000 people in several dozen rural Texas communities exceeded federal drinking water standards for arsenic for more than a decade, according to a report to be published Monday by an environmental group. The Environmental Integrity Project’s report, titled “Don’t Drink the Water,” says the state should do more to warn Texans about the dangers of arsenic, a carcinogen. None of the water systems identified in the report are in the Austin area. They are chiefly in parts of West Texas and South Texas. Texas officials say the arsenic doesn’t pose an immediate threat and that the federal guidelines are conservative.